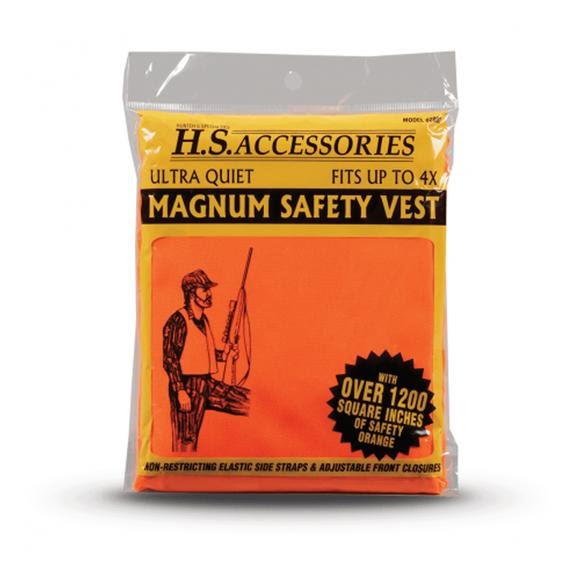 Hunter Specialties's blaze-orange Magnum Safety Vest provides more than 1,200 in&wup2; of safety orange to help hunters stay visible. It has an adjustable front closure and non-restricting elastic side straps. Made to accommodate larger hunters, this vest fits up to size 4X. Hunter Specialties &apos;s blaze-orange Magnum Safety Vest provides more than 1,200 in&wup2; of safety orange to help hunters stay visible. It has an adjustable front closure and non-restricting elastic side straps. Made to accommodate larger hunters, this vest fits up to size 4X.